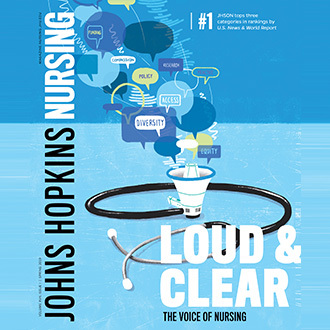 Johns Hopkins Nursing features a look and listen at the voice of nursing, faces from around the school, and more. 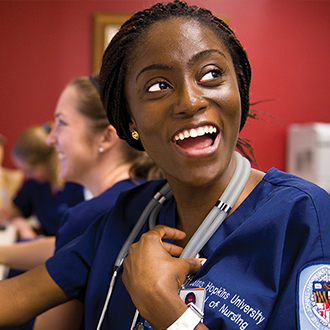 Find it in the usual spots or online at magazine.nursing.jhu.edu. 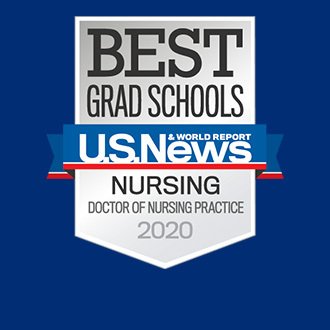 The Johns Hopkins School of Nursing Master’s and Doctor of Nursing Practice programs have been ranked No. 1 in the country by U.S. News & World Report. 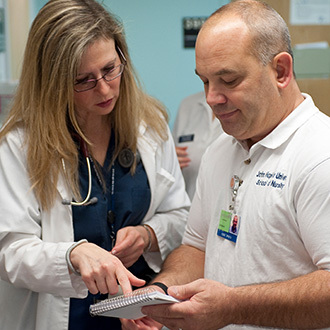 Take your career to the next level with the online MSN Health Systems Management program. More online learning options are now available for DNP Advanced Practice tracks. Applications open. Enhanced master’s program offers a fast track to practice or a launching pad toward a doctoral degree. 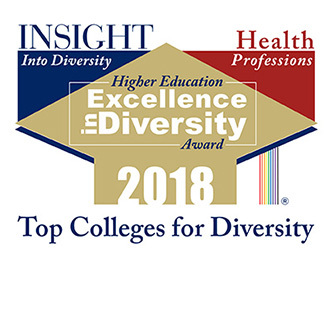 School of Nursing is 2018 recipient of “Excellence in Diversity” Health Professions award for committed efforts to diversity and inclusion. 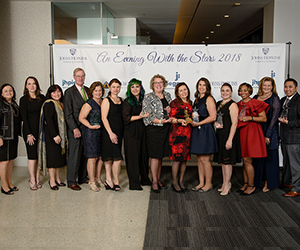 The SON’s Nu Beta has become an “At-Large” chapter of the Sigma Theta Tau International Honor Society of Nursing, or Sigma, and the first among 500 global Sigma entities to add an entire health system to its charter. 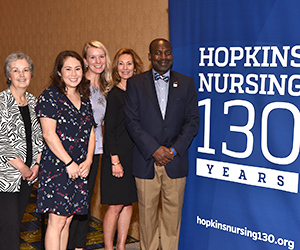 Founded in 1889, SON continues to make history and set a course for nursing’s future. 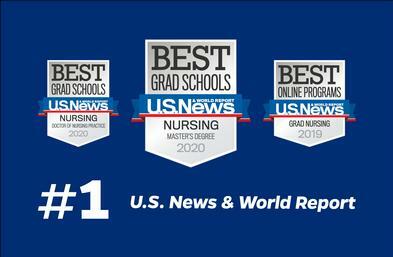 Now Accepting Applications for Fall 2019 and Spring 2020. Join for hors d’oeuvres with our students who have successfully completed their respective program. The students will be presenting findings from their research or scholarly projects. We would truly appreciate your support of their work and kindly recognize them for the hard work that they have put in on top of their academic requirements to graduate. We are very proud to present their work. SOURCE invites you to celebrate the achievements of the 2018-2019 SOURCE Signature Service-Learning Programs - SOURCE Service Scholars and SOURCE's Service-Learning Faculty and Community Fellows. Scholars and Fellows will share their partnerships, discoveries, and inspiration from work with Baltimore community organizations. 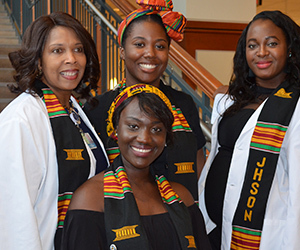 The Annual J. Douglas Colman Grand Rounds Lecture, sponsored by the Johns Hopkins General Preventive Medicine Residency Program, will be held on Friday, April 26, 2019, 12:15-1:15p, in the Becton Dickinson Room (W1020) at the Johns Hopkins Bloomberg School of Public Health (615 N. Wolfe St., Baltimore, MD 21205). The keynote speaker will be Vice Admiral Jerome M. Adams, MD, MPH; the 20th U.S. Surgeon General of the United States. 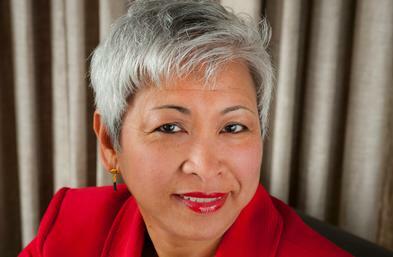 A special introduction will be provided by Ellen J. MacKenzie, PhD, ScM; Dean of the School of Public Health. A reception will follow immediately after the program in the School of Public Health Gallery. A live webcast of this program will also be provided. For more information, please contact Ryan D. Lang, MD, MPH at rlang6@jhmi.edu. 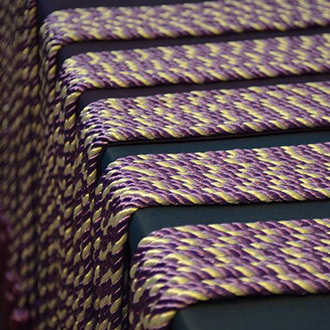 We offer programs designed to fit the needs of a diverse student population. From pre-licensure programs to Master's, DNP and PhD programs, online options, and post-degree opportunities, the School of Nursing offers more nursing possibilities for more people in a variety of places, times, and formats. "Nursing isn’t just about giving meds and doing assessments. It’s the compassion and being present and listening." "My mother will tell you that it all started from a commercial I saw on TV when I was 5 years old." "I've learned how to be a better teacher." 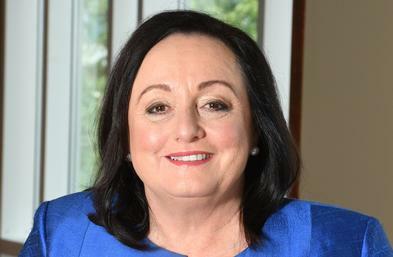 Johns Hopkins School of Nursing Dean Patricia Davidson, PhD, MEd, RN, FAAN, has been named as one of Maryland’s Top 100 Women for 2019 by The Daily Record in recognition of her professional accomplishments, community leadership, and mentoring. 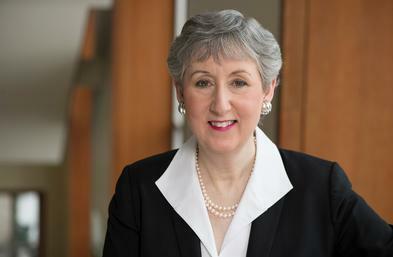 Maureen Lichtveld, MD, MPH, professor and chair of the Department of Environmental Health Sciences, Tulane University, School of Public Health and Tropical Medicine, joins the Johns Hopkins School of Nursing (JHSON) Advisory Board. 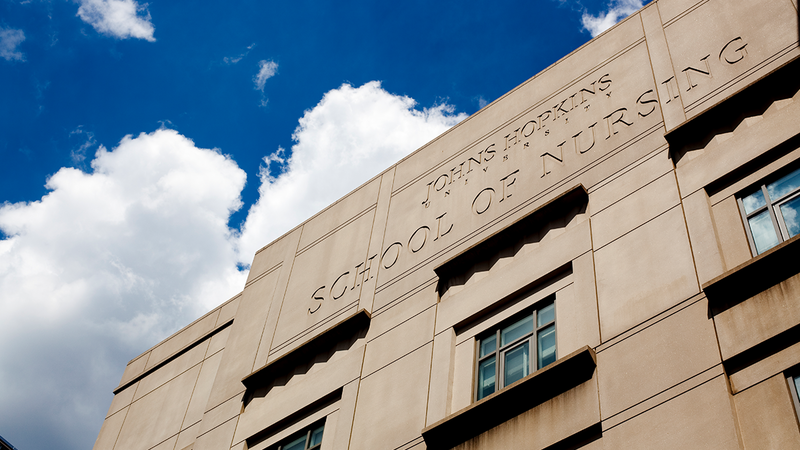 Find out what's new at the Johns Hopkins University School of Nursing. Connect with other university students, faculty, staff and through our social media networks. Nursing isn't a career that will leave you in the background or on a single track forward. It is challenging, highly scientific, diverse, innovative, and growing in opportunities that will put you on the path to nearly anywhere you want to go. About Baltimore - See what our student, faculty and staff love about Baltimore. 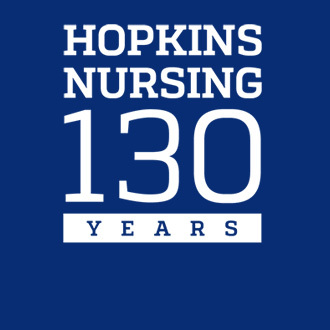 Learn how you can support the future of nursing at Hopkins.